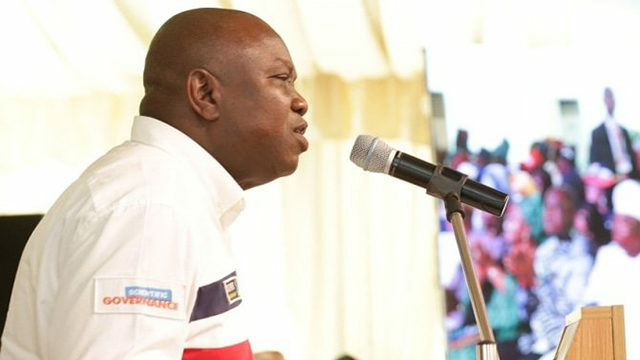 Lagos State Governor Akinwunmi Ambode has called for review of laws to allow stiffer punishment for offenders of sexual and gender-based violence that pose threat to safety and security of women and girl-child. Ambode, represented by Secretary to the State Government (SSG), Mr. Tunji Bello, disclosed this at the 18th Regular National Council Meeting on Women Affairs and Social Development in Ogba, Lagos. He said to achieve social inclusion and integration for socio-economic development, issues of gender inequality, girl-child education, domestic violence, sexual abuse and others that have limited the capacity of women to achieve their full potentials, must be address decisively. According to him, “in Lagos, the issue of sexual abuse and gender-based violence is being addressed relentlessly through the Domestic and Sexual Violence Response Team (DSVRT). Also, Minister of Women Affairs and Social Development, Senator Aisha Alhassan, in her speech, urged states to renew their Children Parliaments to allow them participate in all programmes that affect them. However, in his goodwill message, Speaker, National Children Parliament, Master Maisara Abdulkadir Abass, called on Nigerian children to avoid any tendency capable of leading them to drug abuse. He, therefore, commended the rule of law and anti-corruption programme for supporting the Federal Ministry of Women Affairs and Social Development in reinstating the National Children’s Parliament and National Child Right Implementation Committee.